Back in my job-hunting days, I wasted prodigious amounts of time trying to make my resume look clean, attractive and professional. I was too cheap to pay someone who could make my resume look great, so I just muddled around with fonts and margin settings in a Word file. 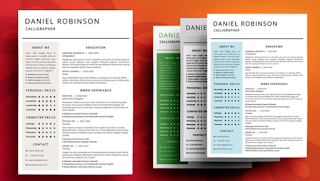 What I needed was a template created by a talented designer, like the templates contained in The Complete Resume Collection by 3Angle. 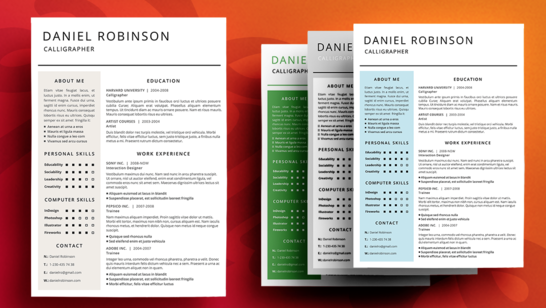 The collection includes 25 different resume designs plus cover letters and business card layouts. The designs can be edited and customized using Microsoft Office 2010 or later as well as other programs such as Adobe CS4 or InDesign. The collection is packed in a ZIP file that also includes free fonts, a font guide and a help file. The whole package costs $49 and can be purchased and downloaded at the Creative Market website.